Gone are the days when only the bat and the ball did the talking in cricket. That was a more traditional way of playing the game. There are a certain questions that an old fashioned, traditional cricketer or a cricket lover would ask. Does a quality bowler really need the mouth to get a batsman out? Is the cricketing skill that the bowler possesses, just not good enough for taking wickets? If not, is the bowler good enough to perform at the international level? Additionally, if sledging has become such an integral part of the game, is it taught to the youngsters right from young age? The game arguably saw the fastest and deadliest bowlers in the invincible West Indies side of Clive Lloyd. But they always made the ball do the talking. They would get the batsman hopping and skipping for cover, or the more defensively strong Sunil Gavaskar beaten, but apart from a rare stare, they never tried to get under the batsman’s skin with words. They managed 1000s of wickets. It was the West Indian way of playing Test Cricket. But then the methods kept changing. Words started being used as a weapon to distract the batsman eventually resulting into a false shot and giving the wicket away. 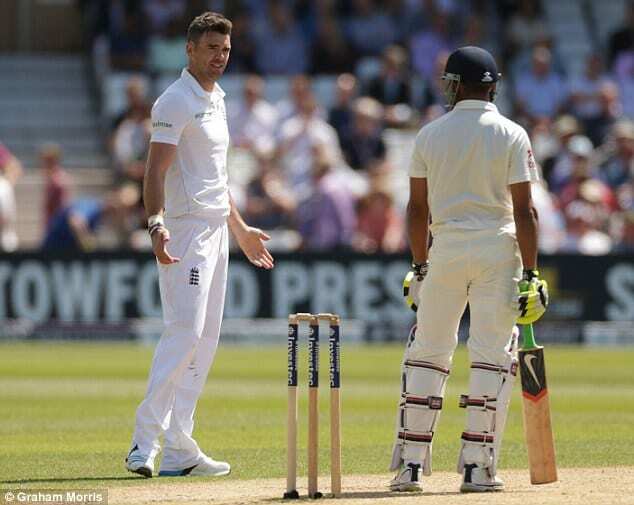 The recent incident which we are witnessing is the spat between Ravindra Jadeja and James Anderson. The incident took place in the first test of the series. Anderson arguably won the MOM award. But this was the incident that created all the hype and the off field issues started being talked about more than the game. India won the 2nd test and went 1-0 up in the series. England bounced back and won the 3rd test to level the series. Jimmy Anderson was the MOM in the 3rd test. Interestingly, in this test he had been a good boy. Jimmy, we all know, is a world class bowler. He can move the ball both ways with a very subtle change in his action. He has good pace and can bowl the odd bouncer as a surprise delivery. He also bowls a lot of slower balls in the shorter formats. Basically, he understands the language of the ball and can make the ball talk. Then why does he need to use words? It is seen that umpires do not interfere until the incident goes out of proportions. But when should the umpires intervene? We can definitely see that pleasantries are not being exchanged even if the stump microphone can’t pick up everything. Then why is sledging not taken seriously? Some captains say there should not be words directed personally at you. Some say things spoken are fine until it does not hurt someone’s colour or religion. We already have had the big ugly ‘Monkeygate’ incident when India went Down Under in 2008. On the other side, we have seen a commentator getting banned for making a comment on a certain South African batsman. It surely did not imply anything and was probably made in a joking way. But the incident was dealt with strictly. A certain English commentator had mentioned in an India- England series, “They have some exceptional fielders but also have a couple of donkeys in the field.” Even this comment was dealt with strictly. Then why not the players who are doing it on the field? With all the advertising of fairplay, has the cricketing world actually forgotten the true meaning of the word? If not dealt with soon, it will definitely not be called a gentleman’s game anymore.